What's Nearby: Hawthorn Hall, Bozorth Hall, Bunce Hall, Memorial Hall. Across route 322: Westby Hall, Science Hall, Savitz Hall, Campbell Library, Robinson Hall, Wilson Hall. Parking: For the most current policies and information about residential parking on campus, please follow this link to Rowan Parking Services. Mailboxes: Located in the foyer of the Townhouse Community Center for each apartment. Resident’s apartment keys open their designated mailbox. A single key is distributed to each resident, which allows access to your apartment main entrance and your specific bedroom. Trash Removal: There are dumpsters located throughout the complex. Students are responsible for bringing their trash bags to dumpster locations. Trash is hauled on a daily basis. Telephone: Land line telephones have been removed from all residence halls for lack of use, however they are available upon request. Active room telephone lines provide local calling only and require a calling card for long distance. Most residents rely on cell phones. 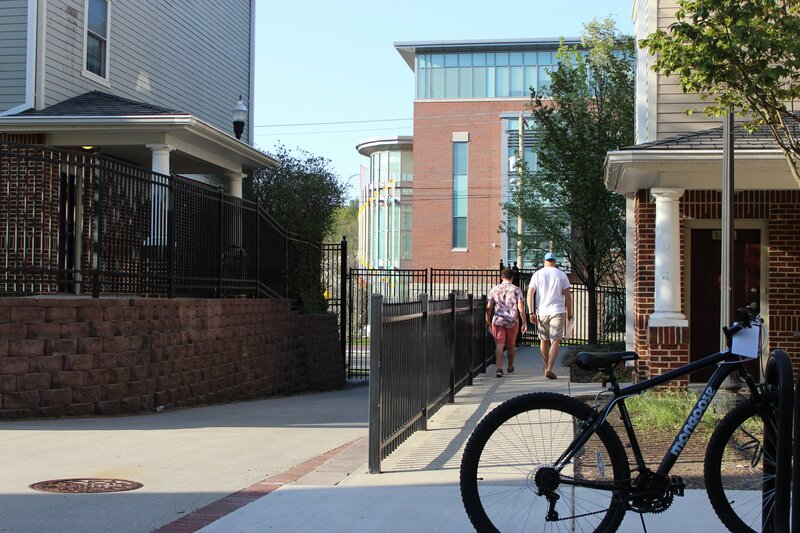 4 students reside in each apartment with single occupancy bedrooms. Mixed gender apartments are permitted in this complex. For descriptions and quantities of the standard furniture provided for each room type, please visit this link to a furniture description page. View a map of the Townhouse Complex building layout.